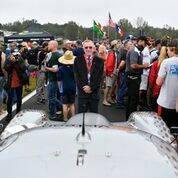 After a pole-winning performance yesterday, Team Panoz Racing ended race day early due to engine misfire issues despite perpetual endeavors to persevere. Oct. 28, 2018, Monterey, Ca. – Starting on pole after a brilliant performance by all three drivers yesterday, race day was not to be for Team Panoz Racing. 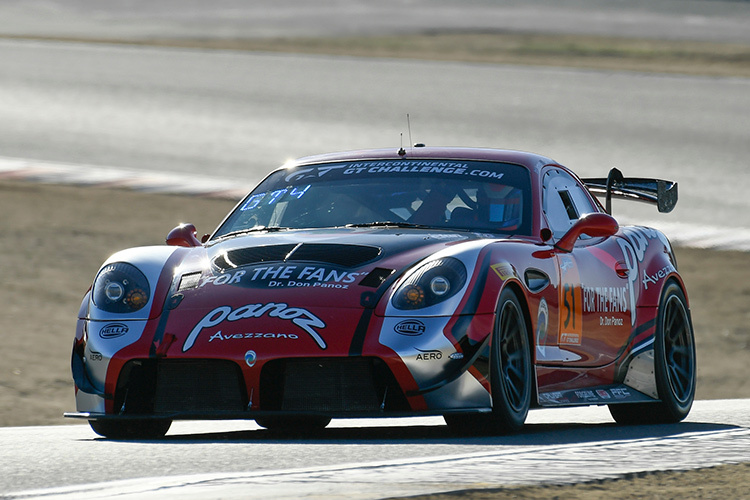 The team ended the Intercontinental GT Challenge’s California 8 Hours race early, after three hours and ten minutes due to engine misfire issues. Ian James started the race and for the first hour looked strong, handing the car over in third to Mathew Keegan during the first yellow flag. Back out in sixth, Keegan climbed to fourth and at 30-minutes into his stint, put on a fantastic effort passing three cars and getting back into the lead position. 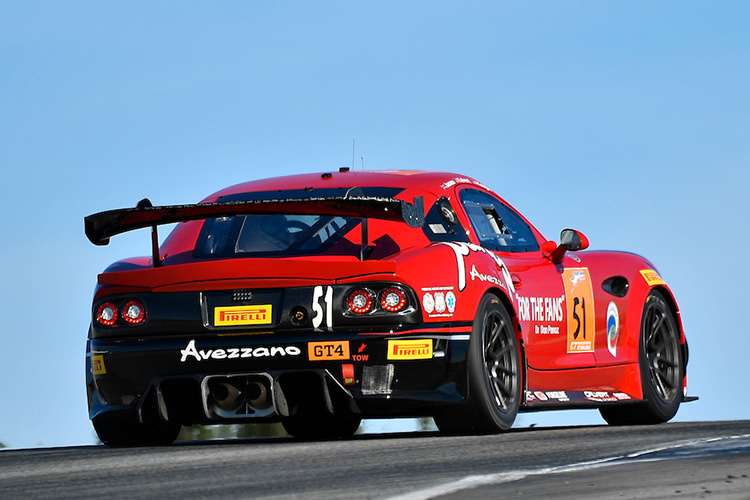 At the two hour marker, Keegan handed the #51 Panoz Avezzano over to Preston Calvert in fifth, after a drive-through penalty caused him to drop back. Ten-minutes in to his stint, Calvert complained of misfire issues and brought the car behind the wall. After multiple attempts to solve the issue and get back out on track, the car was bought back in to the garage for the last time. After 40-minutes of thorough investigation, the crew discovered a part-failure and due to safety reasons decided to withdraw from the race.